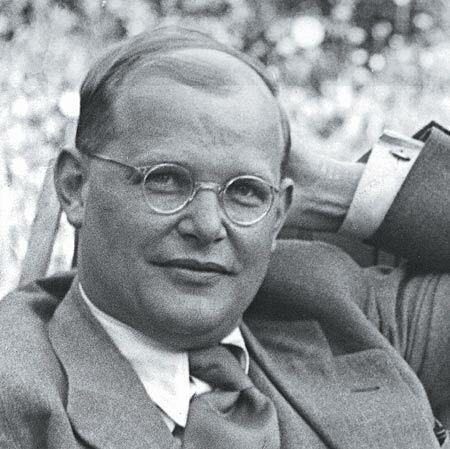 Bonhoeffer’s “Cost of Discipleship” usually sends legalists into a frenzy of zealous works. And of course a shallow reading of the book would certainly affirm any legalistic tendencies one might have. However, a careful reading, even of the excerpt below will reveal that Bonhoeffer is no legalist. While he was thoroughly immersed in the world of Sola Gratia, Bonhoeffer does give a helpful corrective to some strains of Lutheran musings on grace. He argues that the gift of grace not only includes the forgiveness of sins, but grace also gives the new life of discipleship to the Lord Jesus. Read it carefully and read it all. “Cheap grace is the preaching of forgiveness without requiring repentance, baptism without church discipline, Communion without confession, absolution without personal confession. Cheap grace is grace without discipleship, grace without the cross, grace without Jesus Christ, living inarnate. “Costly grace is the treasure hidden in the field; for teh sake of it man will gladly go and sell all that he has. It is the pearl of great price to buy which the merchant will sell all his goods. It is the kingly rule of Christ, for whose sake a man will pluck out the eye which causes him to stumble; it is the call of Jesus Christ at which the disciple leaves his nets and follows him. “Such grace is costly because it calls us to follow, and it is grace because it calls us to follow Jesus Christ. It is costly because it costs a man his life, and it is grace because it gives a man the only true life. It is costly becasue it condemns sin, and grace because it justifies the sinner. Above all, it is costly because it cost God the life of his Son: ‘ye were bought at a price,’ and what has cost God much cannot be cheap for us. Above all, it is grace because God did not reckon his Son too dear a price to pay for our life, but delivered him up for us. Costly grace is the incarnation of God. “On two separate occasions Peter received the call ‘Follow me.’ It was the first and last word Jesus spoke to his disciple (Mark 1.17; John 21.22). A whole life lies between these two calls. The first occasion was by the laek of Gennesareth, when Peter left his nets and his craft and followed Jesus at his word. The second occasion is when the Risen Lord finds him back again at his old trade. Once again it is by the lake of Gennesareth, and once again the call is: ‘follow me.’ Between teh two calls a whole life of discipleship in the following of Christ. Half-way between them comes Peter’s confession, when he acknowledged Jesus as the Christ of God. Threee times Peter hears the same proclamation that Christ is his Lord and God- at the beginning, at the end, and at Caesarea Philippi. Each time it is the same grace of Christ which calls to him ‘Follow me,’ and which reveals itself to him in his confession of the Son of God. Three times on Peter’s way did grace arrest him, the one grace proclaimed in three different ways. “This grace was certainly not self-bestowed. It was the grace of Christ himself, now prevailing upon the disciple to leave all and follow him, now working in him that confession which to the world must sound like the ultimate blasphemy, now inviting Peter to the supreme followship of martyrdom for the Lord he had denied, and thereby forgiving him all his sins. In the life of Peter grace and discipleship are inseparable. He had received the grace which costs.